Take the next step and call us today for personalized home care. Delicate Home Health Care is a Private Agency that provides dedicated quality senior care and care for the disabled. You can rely on us either on an as needed basis or around the clock. Our Mission is to help our clients in improving not only their physical health, but their emotional, mental, and spiritual health, including wellness and well being. Our home care services are flexible to fit your needs. Delicate Home Health Care is focused on improving mobility, a sense of independence, and most importantly, quality of life for each of your loved ones. Whether you’re looking for companionship services, need transportation to appointments or for shopping, socializing, or rehabilitation services, Delicate Home Health Care provides experienced staff to meet your needs. 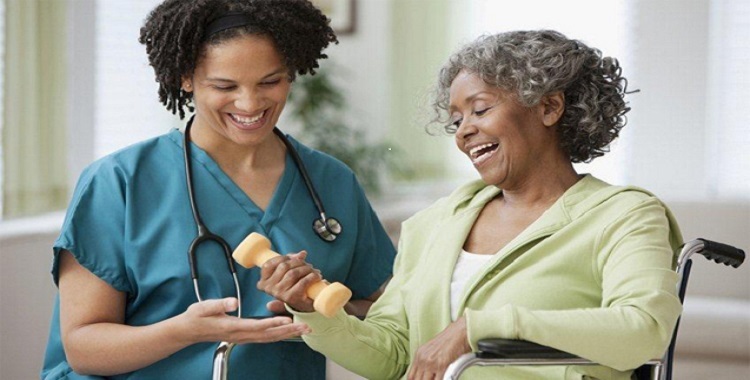 Our personal care services assist you or a loved one with activities of daily living or ADLs, which include meal planning and preparation, bathing and dressing, hygiene, and much more. Delicate Home Health Care provides hourly care (4 hour minimum) to short-term stay visits to 24-hour live-in care. We provide respite care as well, offering current caregivers the chance to step back, spend time with family, take that much needed vacation, or to simply rejuvenate. It’s important to take a break from caregiving once in a while in order to continue providing the best in mental, emotional and physical support of a loved one. When it comes to home health care services, Affordable Home Health Care is here to help. Our staff, from our home health care aides to support staff, are well-versed in a variety of homecare solutions and take pride in what they do. You are not in this alone. We cater to your needs, when you need them. We take pride in our ability to offer our customized, courteous, and experienced care. Call us today at 1-800-216-0372 or 1-703-334-0105 and ask about the services we provide. Sometimes, you need help with activities of daily living more than an hour or two a day. Private duty home care services are often requested in home-based caregiving. We ensure that you or a loved one has access to nutritionally sound food on a daily basis. We provide professional, courteous, and compassionate care for all your personal care needs. Delicate Home Health Care provides companionship services keep your loved one connected to others. Our Non-Medical services focus on helping such individuals stay healthy and safe in their own home.